Watermelon Counting Game from Smart School House Crafts for Kids - YoursTrulyHandmade.com - DIY, Home Rennovations and a lot of crafts! We are giddy over this new book from our super sweet friend over at Smart School House! 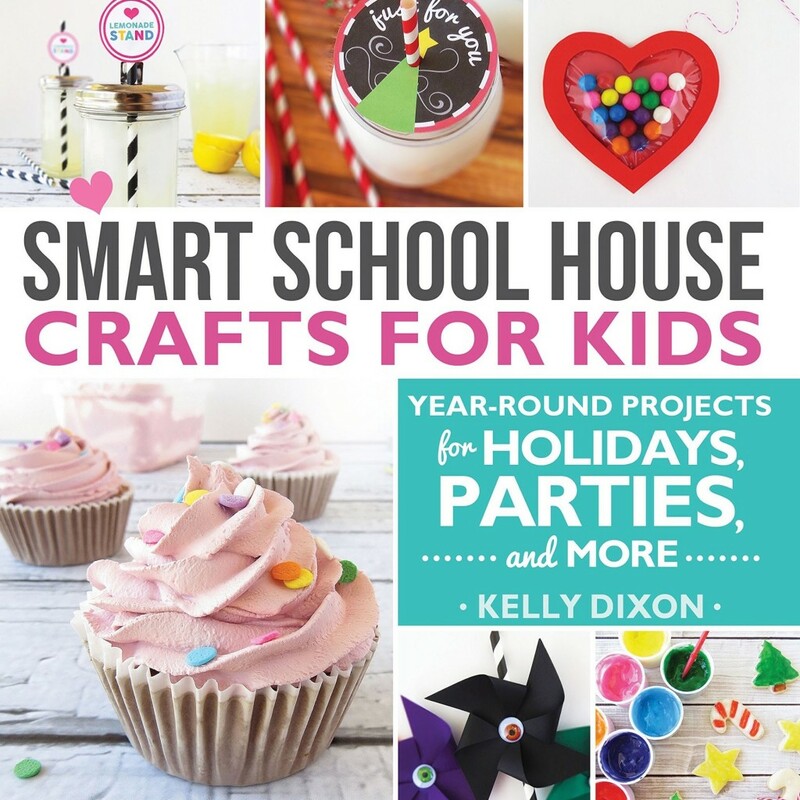 Â Kelly Dixon has outdone herself with gorgeously simple and unique crafts for kids with Smart School House Crafts for Kids(affiliate link). 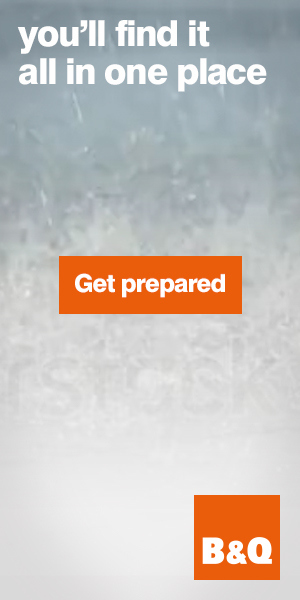 As you can see by our quick little video, this was a super simple project! Â We assembled construction paper onto a pizza pan with some craft glue and then decorated it with some magnetic â€œseedsâ€ according to the picture instructions in Crafts for Kids. Learning to count: Â Take the seeds off and ask the child to add a certain number of seeds to the watermelon. 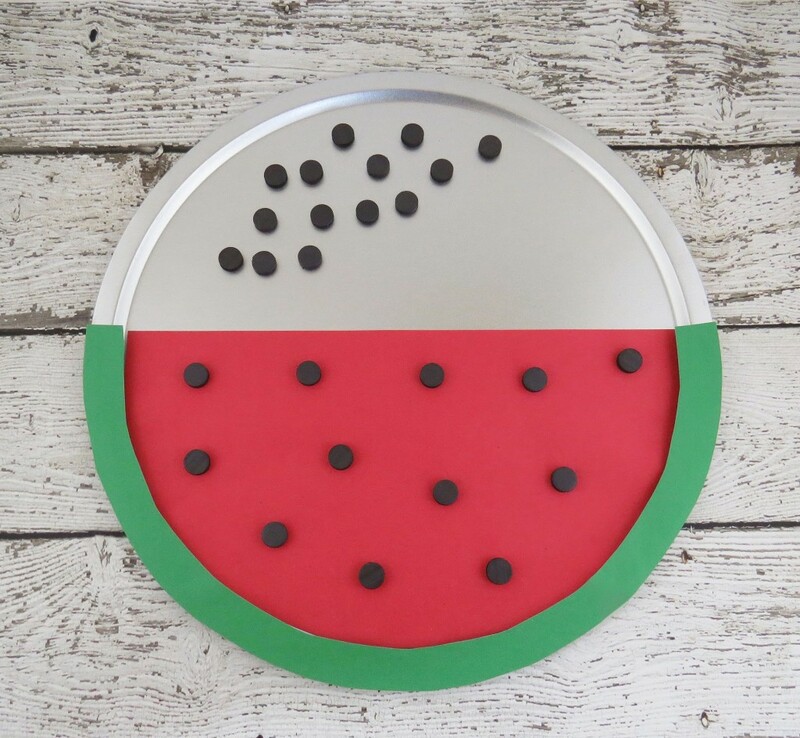 Matching amounts: Â Place a number of seeds above the watermelon on the shiny pizza plate surface and then have the child mirror that amount of seeds on the watermelon. Simple addition: Â Verbally ask a math question and have the child answer in watermelon seed placement! Skip counting: Â Assign a value to each seed and have the child figure out how many are represented by skip counting. Pattern making: Â Use spacing between seeds to create a pattern that needs to be finished. 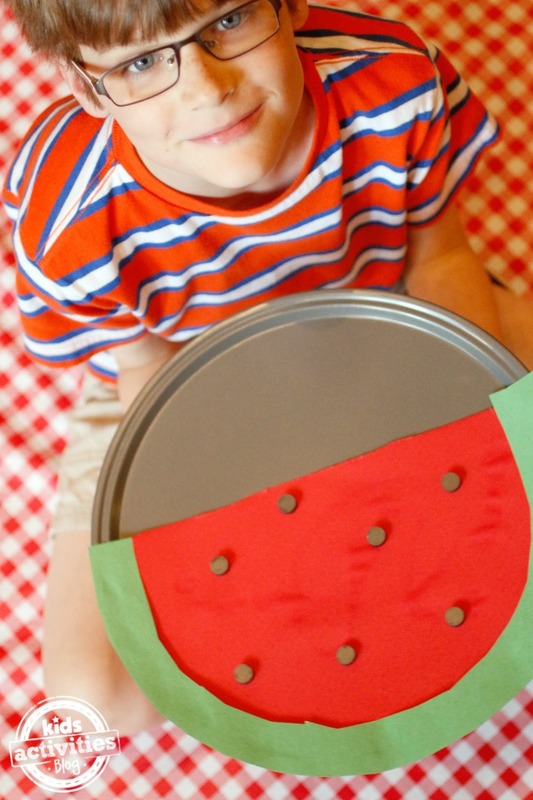 Rhett loves this watermelon craft! Â We are going to use it as a note board to display some photos and favorite pieces of art. Please check out Kellyâ€™s book! Â It is so colorful and fun. Â There are projects for holidays, parties and just hanging out at home.